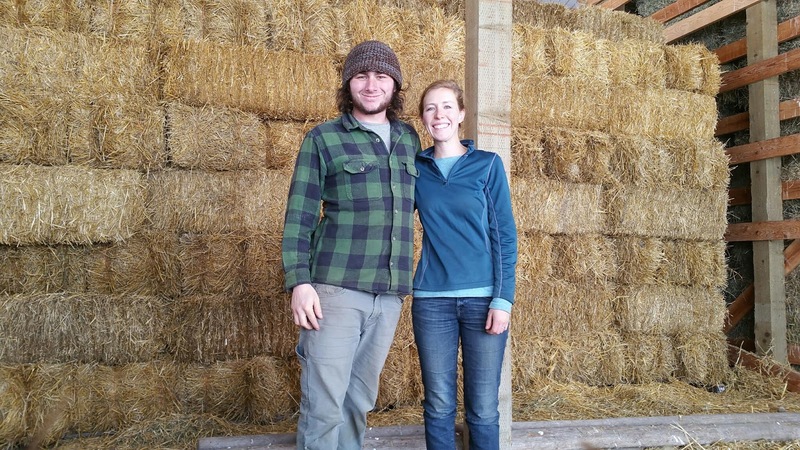 Cob, strawbale, or balecob buildings all require straw for wall construction. The type and size of bales all vary from region to region and project to project. All require clean, dry and preferably long stranded straw. Straw is considered a waste product and is still burned in large quantities rather than baled and used in other ways. Many farmers in Montana grow wheat as a rotation crop for their hay fields and sell straw at a low cost, perfect for us natural builders. 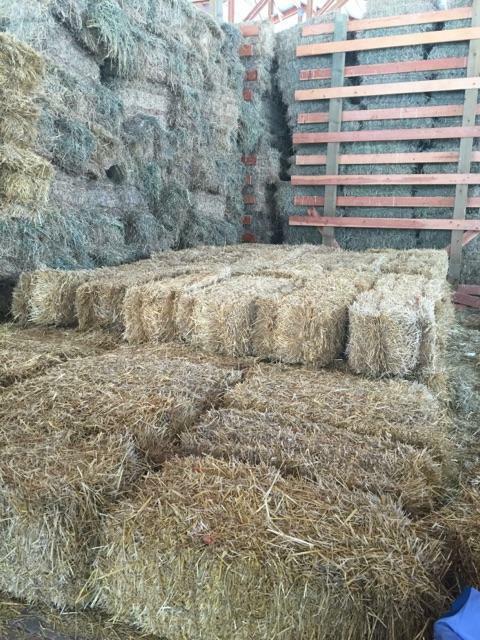 If building with cob only, we prefer to purchase the large 4ft x 4ft x 8ft bales that weigh in at around 1/2 ton. Two of these monstrous bales will supply enough straw for a small cob building. For our new balecob house we will be using the much smaller 2 string bales only weighing 40-50lbs and measuring 14"x18"x36". Every Strawbale building book will tell you to over-purchase the number of bales you need by 20-30%. This should account for broken bales, bales you need to resize, and others that get ruined during construction. We purchased 326 small bales (we estimate we will need around 260) at $3.50 each. It is important to mention the difference between hay and straw, this question seems to come up quite often and is addressed in length here at Permies. The photo below shows the clear difference between the lush high moisture alfalfa (hay) and clean crisp golden straw. Hay is used for feed while straw is the leftover, dry stalks from grains. Choosing your bales for construction is also extremely important. 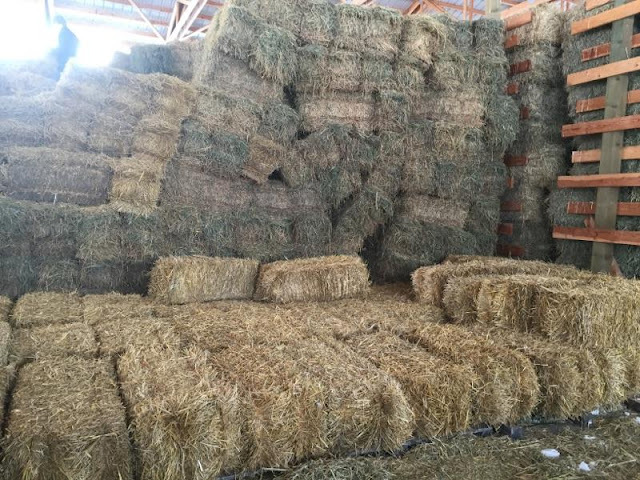 You bales should be locally sourced (save money on transportation as well as pollution), dense (bales can be picked up by one string or tossed from truck without breaking), and dry (up to 20% moisture content). Moisture meters can be very expensive, but you can typically tell if bales are dry from the outside condition of the straw. 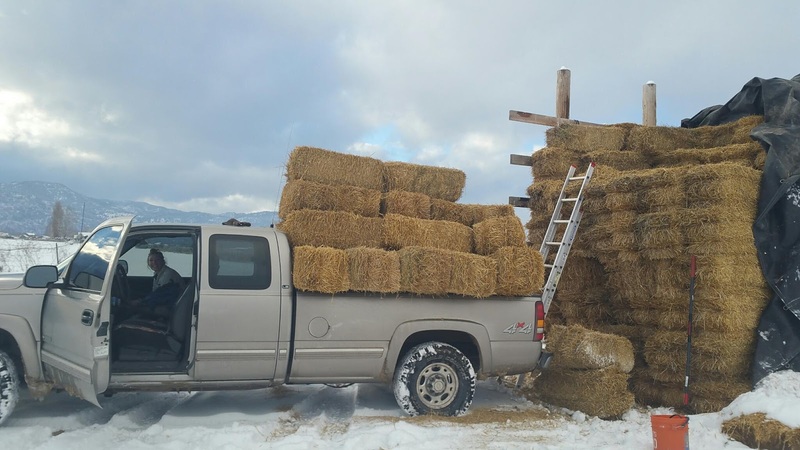 Randomly select a bale to break open and check how dry the middle of the bales are too--just make sure you buy it first. Since straw is a by-product of growing grains, the availability of straw is limited to the second half of the year. You may be hard pressed to find good quality bales come spring and the start of your building season. 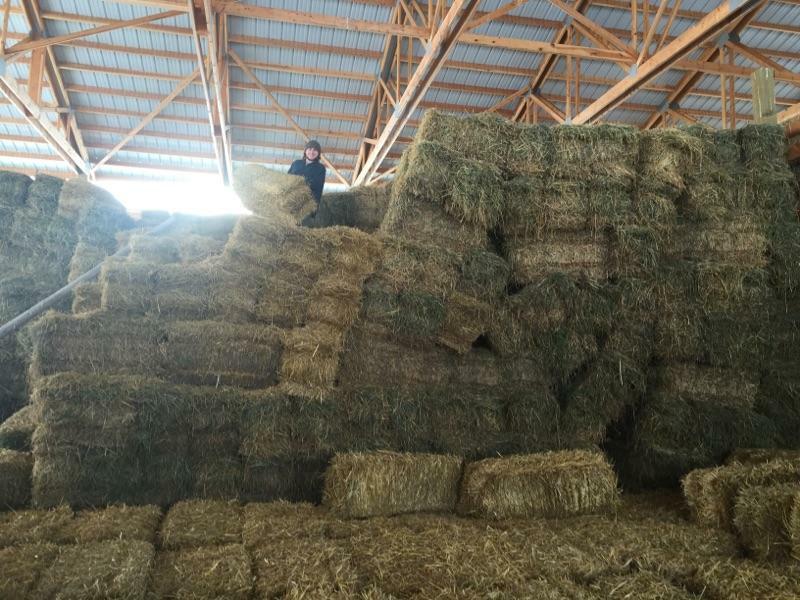 We were lucky enough to find a farmer that is keeping our straw dry and stacked inside of his barn for free! Just remember to keep those bales of the ground with pallets or the ground will wick moisture up into the straw. I've added a few great links and resources below that I have found the most helpful during this process. Most of all I am beyond excited to begin our new home next spring and so grateful for our Earth that provides such amazing building materials! Danny and Katherine...I am so proud of all your hard work and sharing your findings with others. Maybe I can come and help (or supervise) with the building of your new Cob Cottage. Love, prayers and hugs! I have fond childhood memories of riding on the hay bale flat bed truck as my uncles would throw the bales on the truck and we would sit atop them. Thanks for the explanation between straw and hay.